A new mobile app developed by two South African entrepreneurs recently went live after months of Beta-phase trials and tests. Called Honest Abe, the developers of the app hope it will help to free thousands of people economically by playing a role in stimulating employment and building trust between homeowners and local tradesmen across South Africa. “My partner and I work in the building services industry and we have seen how a lot of smaller tradesmen struggle to find regular work. 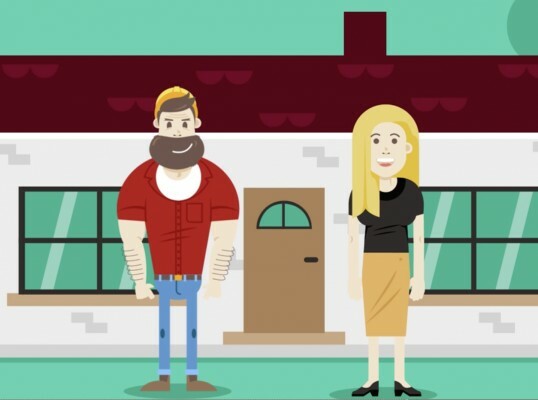 This isn’t because the work isn’t out there for them, it’s because many homeowners are wary of inviting strangers into their homes to quote on jobs and to do the work,” says James Mittan, co-founder of the Honest Abe app. Through Honest Abe, homeowners can list jobs they would like done and the Honest Abe app sends an alert to all the relevant tradesmen working in the area. These tradesmen can then send the homeowner their quote for the job or arrange for a site inspection. Tradesmen can also be given a rating by the homeowner based on their completed work, and this helps the tradesmen to get new work based on their track record. Fly-by-night operators who give the industry a bad name won’t be listed on Honest Abe and, through this form of informal verification, homeowners will have the confidence to stop doing dodgy or dangerous DIY themselves and rather start hiring experienced people to do the job for them. “The country desperately needs to find ways of giving our unemployed South Africans work opportunities, as well as to help struggling tradespeople to find more work so that they can build up their businesses,” adds Derick Bolton, co-founder of the Honest Abe app. Homeowners who need help or advice with any jobs are encouraged to list them on the platform. Tradesmen not already listed on Honest Abe are also encouraged to register for the free service. The platform is open to all tradesmen, from the owner of a large business that works in the trade and services industry, through to individual painters, plumbers, electricians or any other trade professional. Honest Abe can also be utilised by homeowners, businesses, organisations, clubs and municipalities, as well as other builders and trade professionals. Honest Abe is available through Google Play as well as Apple’s App Store.